Ducky’s new home, 17 years later! 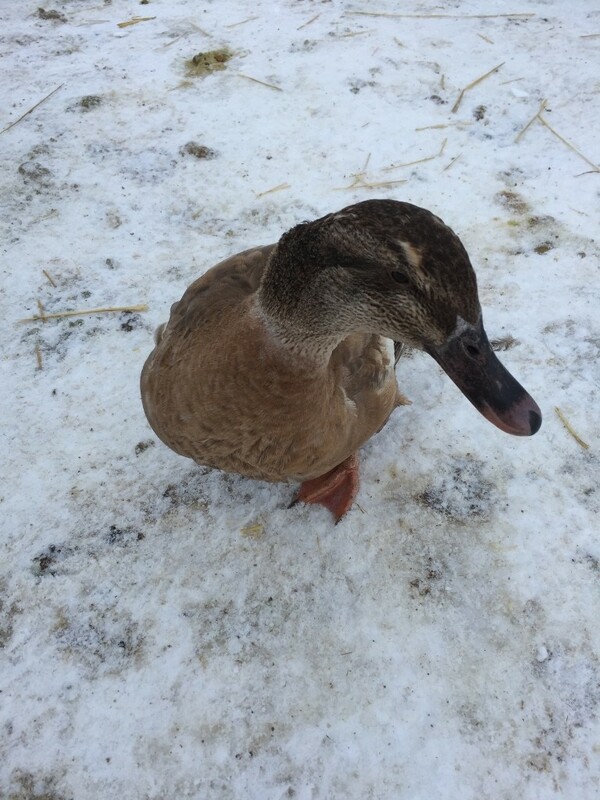 This is our newest little resident, Ducky, and she was given her name by Jennifer, seventeen (yes, 17) years ago. Jennifer bought this little darling as duckling when she was 18 years old herself. Unfortunately, Jennifer and her family had to move out of Michigan and needed a home for Ducky’s golden years. She was very well loved (and will definitely continue to be) and had a pretty regular routine. She was let outside daily to play and forage in the yard, bathed regularly (but didn’t care to swim much), and given much attention. The only thing that she lacked was the companionship of other ducks, having never seen one since she was a duckling some 17 years ago. Please understand that ducks are VERY social creatures and love to interact with like kind species. They get along well with us humans, but nothing replaces someone or something that can communicate on its own level. We talk ‘people’, ducks talk ‘duck’! 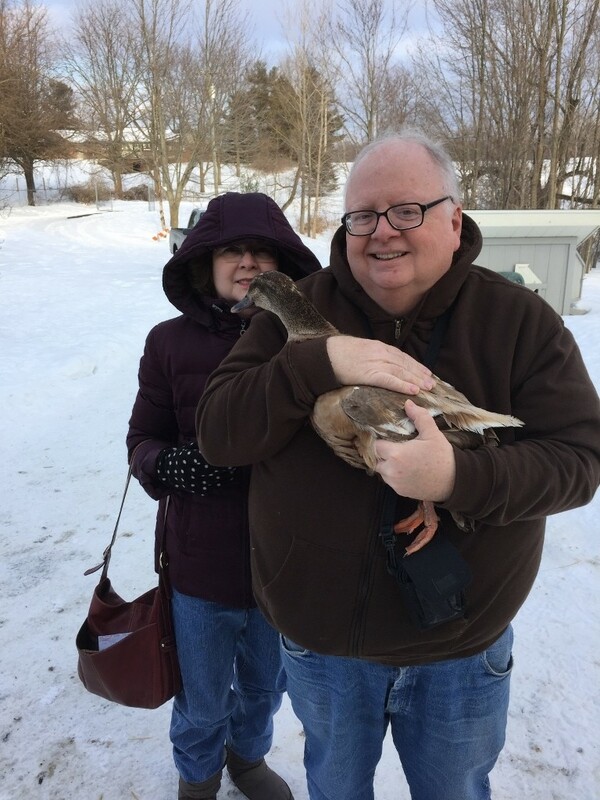 Ducky was dropped off this afternoon by Jennifer’s parents, Dennis and Betty. 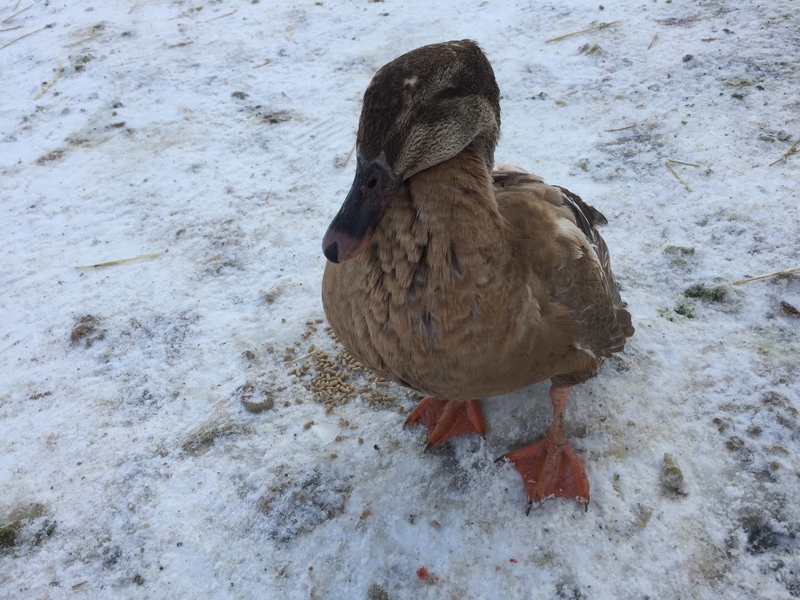 This story about the 17 yo duck is fantastic! I have a video of my daughter’s Harley and he knows his name and turns around when he hears it, even when he is in the group of ducks in the yard. He is very people socialized, because he is brought in the house every once in a while to sit on my lap on a towel. I speak to him and he turns his head to look at me and wonder what this crazy lady is talking about. I am handicapped and really enjoy these visits.